Mikael Liddy... A Brief Introduction. 33 years of age, born in Denmark, an Australian for over 30 years, a husband and father of three. 12 years in banking and a desire to create a fresh approach to home loans. Mikael's job at Fresh Home Loans is to design the home loan that best suits your life's vision, then make it happen. 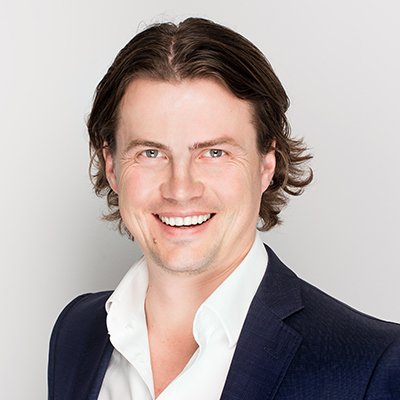 Mikael sees every home loan opportunity through two separate, different lenses. First, the reality of the financial necessities required to qualify to borrow to buy. Every lender is slightly different. Every purchase is slightly different. Which leads to the second lens. Every purchaser is different. Slightly. Or considerably. And the difference is the buyers' appetite to adjust their lifestyle. It all gets down to this question: Do you want to own this house? Or, the house to own you? Either way can work. If you're interested in a meaningful conversation with a broker who is genuinely interested in the life you want to lead, that is Mikael Liddy.